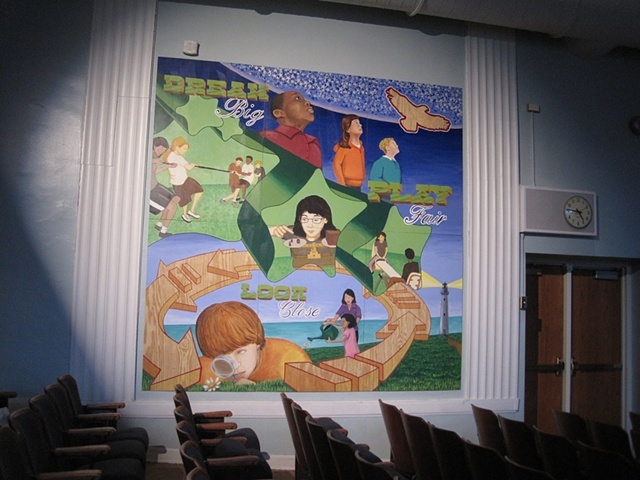 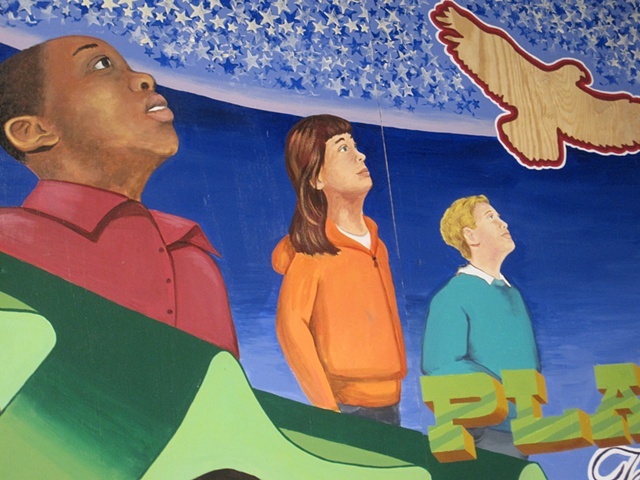 We created this mural for the auditiorium of Orrington School in Evanston in honor of its centennial anniversary in 2012, and as the 5th grade gift to the school. 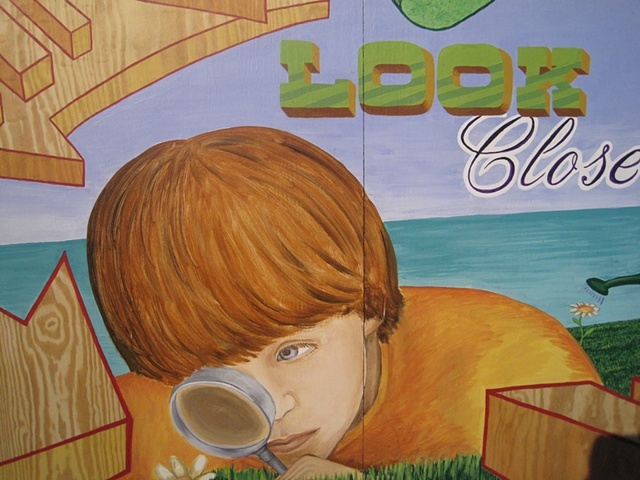 The theme focused on school values, and we entitled it “Dream Big, Play Fair, Look Close”. 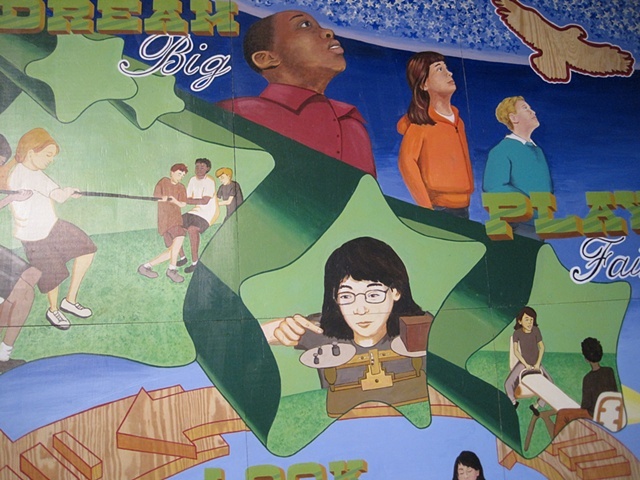 It represents the school’s diversity, care for their environment, friendship, respect, and the inspiring teachers who support the school’s success. 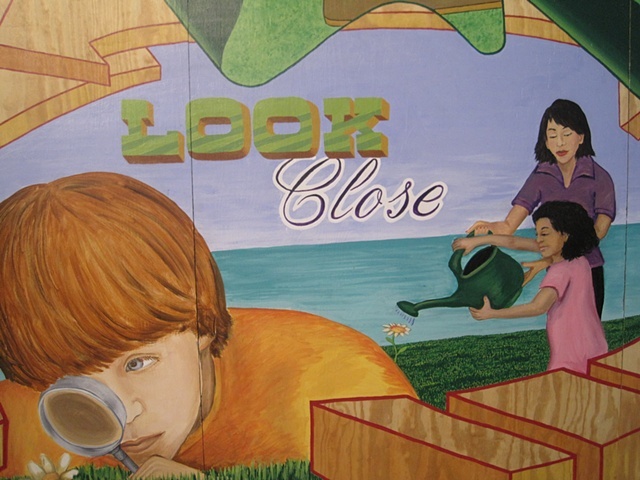 We designed an painted it over the course of 6 weeks in collaboration with 60 5th graders at the school.